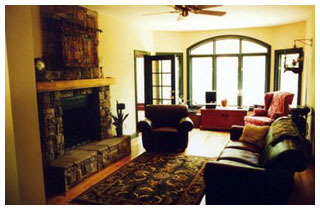 The Tucker Residence is a private single family residence in the foothills of the Appalachian Mountains, in Sewanee, Tennessee. The home features a Hearthroom with a large stone fireplace, 4 bedrooms, 3 full bathrooms and a screened porch overlooking the heavily wooded 10 acre site. 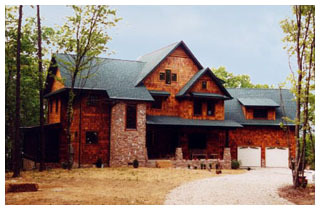 The Crafstman Style, with Cedar Shingle Siding, and stone accents, makes this home fit into its natural surroundings.